Silhouette InstaLift - restored volume in as little as 45 minutes! 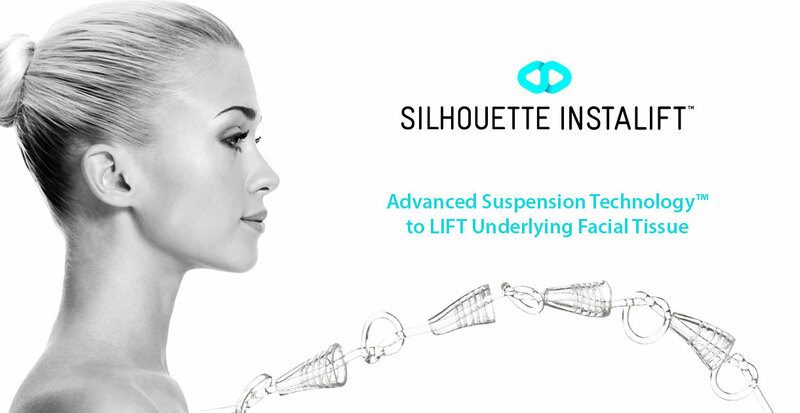 Silhouette InstaLift is a technological innovation offering women and men what no treatment has ever provided in such a simple and minimally invasive way: a reshaped face and restored volume by means of a 45-minute treatment.Silhouette InstaLift represents the state of the art suspension suture and an extraordinary true technological innovation that opens up a new era in aesthetic medicine.This technique leaves no scars and can be successfully used for all areas of the face resulting in a fresher and younger look. Recovery time is minimal and patients can quickly go back to their full social life. What are the sutures made of? Silhouette InstaLift comes in the form of resorbable suture with resorbable bidirectional cones. It is made from Polyglycolide/L-lactide (PLGA), which has a long history of use as a well-tolerated, resorbable suture. The suture design was developed by scientists in the USA using reconstructive and aesthetic surgical expertise. We recommend that you discuss your expectations and ask the physician any questions you have before starting treatment. Inform the physician of any treatment you have already received and of any medicines you are currently taking.Application of Silhouette InstaLift must be performed by a physician who has undergone specific training. Applying Silhouette InstaLift takes around 45 minutes. You will be able to get back to your full social life with minimal recovery time. Silhouette InstaLift is a tailor-made treatment, so it will be adapted to your needs and preferences and can be complemented with other aesthetic treatments.